Our very popular Single Piece ‘Economy’ Aluminium Stair Nosings are available from stock and perform as a practical and durable range of aluminium stair nosings and stair tread extensions. 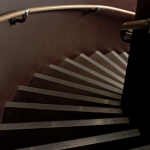 Our Economy stair nosings are available in either Ano-Sil anodised or mill finishes. (Ano-Sil Anodised is a smooth matt satin finish and Mill is the untreated option). These aluminium stair nosings can be ordered online today for prompt dispatch. 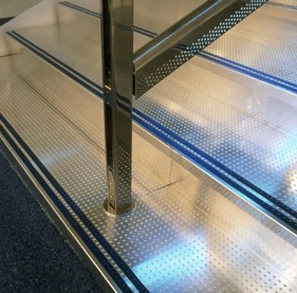 If you’re looking for aluminium stair nosing / stair treads that are both visually appealing and slip resistant then you’ve come to the right place! 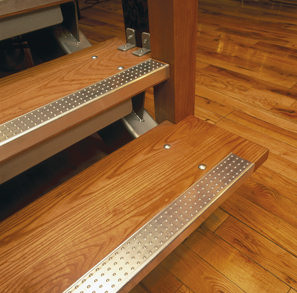 We are able to provide a comprehensive selection of different design options for stair nosings/treads. GA’s ‘Step-Up Stair Trims’ and our new ‘Premium’ range are ‘invisibly fixed’ all aluminium stair nosings with alternative tread designs and come with different ‘back edge’ details to suit different types of stair covering. 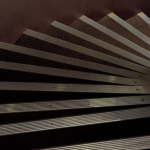 Our very popular ‘Economy’ range of aluminium stair nosings, combining the aluminium stair nosing and aluminium stair tread in one profile, are also available for selection. Gooding Aluminium offer a comprehensive selection of different design options for aluminium stair nosing. GA’s ‘Step-Up Stair Trims’ and the new ‘Premium’ range are ‘secretly fixed’ all aluminium stair nosings with alternative tread designs and different ‘back edge’ details. Also available is the ‘Economy’ range of aluminium stair nosings, combining the aluminium stair nosing and aluminium stair tread in one profile. 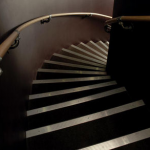 Our aluminium stair nosings come with immediate availability and can be ordered online today. 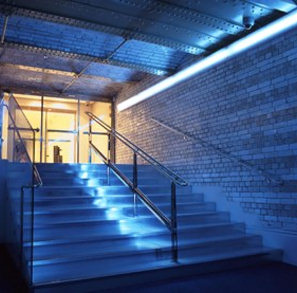 Gooding Aluminium offer a comprehensive selection of different design options for aluminium stair nosings. You really can make a big difference by stepping onto a new level with GA’s high performance aluminium Step-Up Stair Trims. A truly original alternative to conventional aluminium stair nosings. 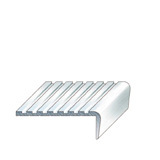 GA’s ‘Step-Up Stair Trims’ are aluminium stair nosings with separate press fit treads for ‘secret’ fixing. 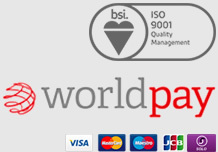 Alternatively there is the ‘Economy’ range of aluminium stair nosings that incorporate the aluminium stair nosing and aluminium stair tread in one profile. Both of these aluminium stair nosing product ranges can be ordered online today for prompt dispatch.